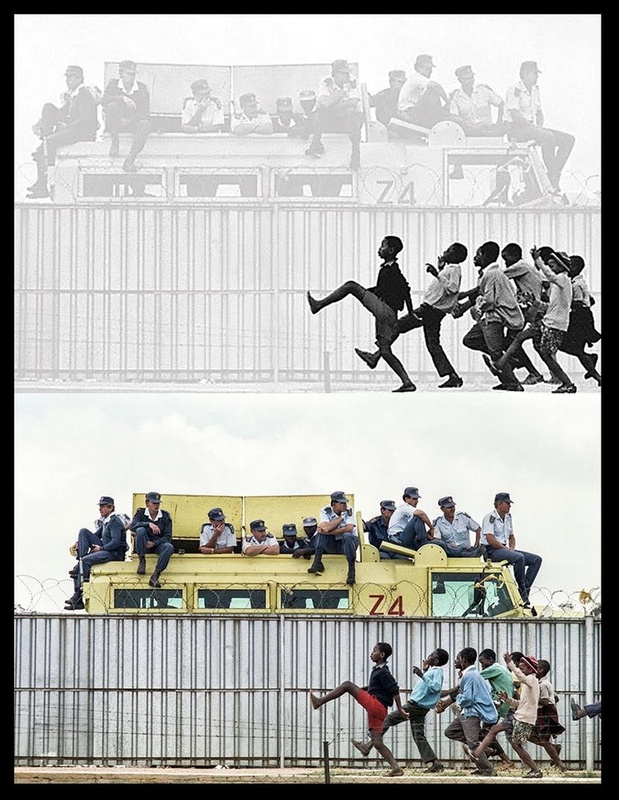 A new debate on plagiarism has been ignited after a South African photographer attended an art fair, only to find his photograph altered and credited to someone else. The American artist claiming credit for the work has questioned whether the photographer can still claim ownership. Attending the Johannesburg art fair a couple of weeks ago, you can imagine photographer Graeme Williams’ surprise to see his own photo staring back at him, except it had been converted to black and white, with different parts of it lightened and darkened. The work was credited to artist Hank Willis Thomas. To rub salt in the wound, it was appearing in the gallery with a price tag of $36,000, a figure Williams says is 25 times more than he has ever earned for the photo. 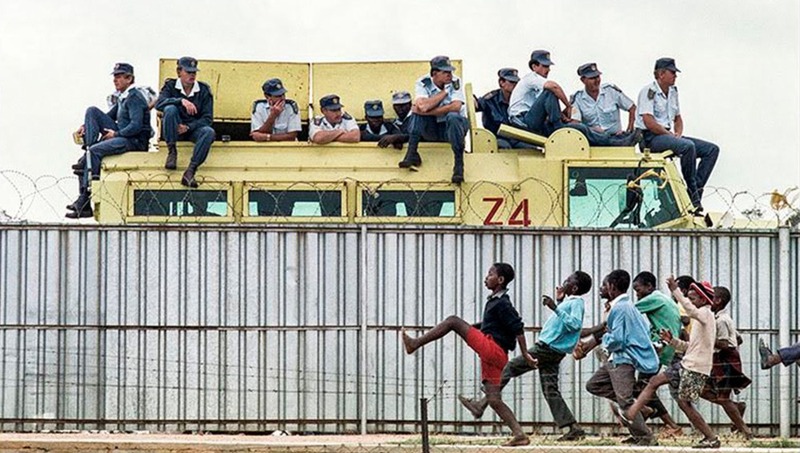 The photo in question depicts black schoolchildren teasing armed white policemen who sit atop an armored car and was taken in 1990, shortly after the release of Nelson Mandela. It has appeared in a number of exhibitions globally. A direct comparison of the two works. Williams' original photograph in color, Thomas' edit in black and white. The changes were absolutely minimal. It’s theft, plagiarism, appropriation. It’s a kind of fine line where you say it falls. 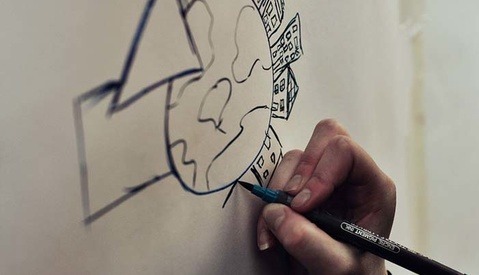 Within the art world, there’s an acceptance that you can use images within the artistic framework to create something that has meaning different to the original image. This was the exact same of my original photograph and all he had done is take an image that he likes and call it his own. Hank Willis Thomas' edit hangs in the gallery. With the rise of the Internet and the subsequent ease of access to high-res images, a number of cases similar to this have developed. 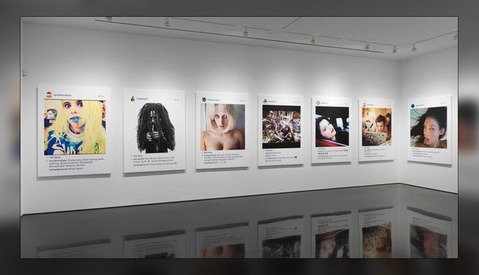 This situation is reminiscent of known “artist” and thief Richard Prince, who has caused an online backlash numerous times for using and amending other artists’ works before selling them for large profits. A New York court has previously ruled in favor of one of the photographers making a claim against Prince, concluding that his work wasn’t transformative enough from the original image. Williams makes an excellent point in stating that Thomas’ work often aims to illustrate “the oppression of the oppressed;” all the while, he is profiting the price of a medium-cost house in South Africa. “It does feel like a mismatch between what he says he’s doing and what he’s really doing,” he said. The piece has since been removed from the gallery. 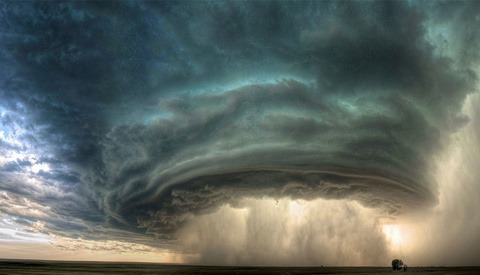 View more of Williams' work at his website. Images used with permission of Graeme Williams. "A New York court has previously ruled in favor of one of the photographers making a claim against Prince, concluding that his work wasn’t transformative enough from the original image." Basically, still leaving a small crack in the door for theft. This is theft. Thomas cannot intrepret a piece of art and then call it his own. The music industry was wrong about sampling; it was theft. And this is blatant, vile theft. Thomas needs to go out and take his own photographs and then reimagine and reinterpret them! He can, but he has to make it substantially different (I believe to the point that a lay person can't make the connection). This example is clearly not that. The world is full of scum taking credit for other's work. Though I do find it puzzling how he took someone else's work, made it worse, and charged more for it. He could have, at least, sited the original photographer. It is theft, no question about that. 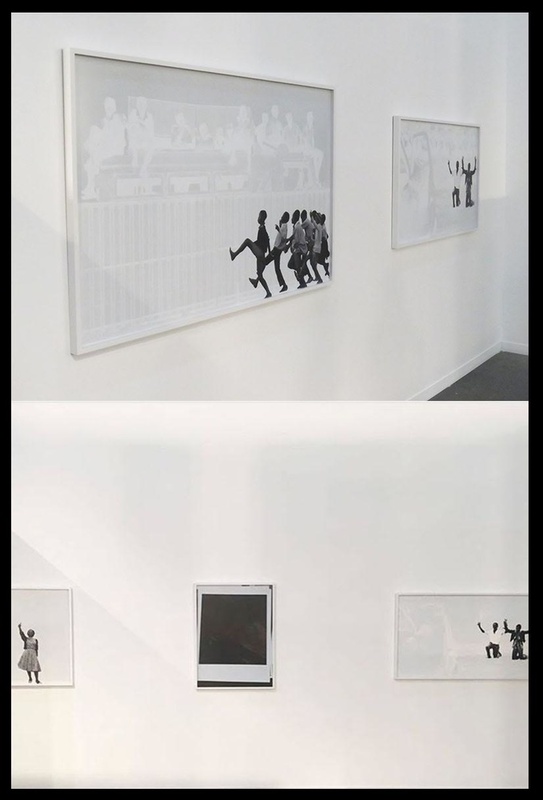 I wonder how the thief would feel about Williams snapping a photo of his own "remixed" work in the gallery and selling that for even more cash with the title "A Portrait of Thievery"
It amazes me that there is a market willing to pay this much money. The fine art world is a strange place but generally they are pretty commited to getting "originals". I'd think that the concept of an "artist" cloning the work of another artist would make the work far less valuable in the eyes of all the original hunting collectors. So who is paying $40k for cheap knock-offs that have no exclusivity or originality? Seems he is a better marketer, then photographer. Very sad, people think this is OK.
You all are like NASCAR drivers complaining about the Formula One cars - pedantic, pedestrian, and out of your element. Of course you think it's theft, but the truth is the art world rewards controversy and concept. You are essentially complaining about something that you want no part of, and which cares nothing for what you think. What "the art world" does and doesn't reward has nothing to do with whether or not this is theft of intellectual property. Nor does the decision of "the art world" to reward the theft of intellectual property validate the practice as ethical, honest, original, or legal. Oh, but it does! See Prince, Richard. You may hate him and what he does but there is no doubt that he has challenged many norms and legal definitions and made himself an important part of the art world. You will no doubt disagree and even vote me down (insert shocked gasp here) but you will still be wrong. The concept of fair use is applied on a case by case basis for this very reason. It'll be up to the courts to decide if it's theft or not. Except the courts already previously decided (Prince's case) that it's theft. You do realize he's been doing it for 40 years and has won many of his cases? One loss is just that. I am well aware of Richard Prince and I don't think you'll find a great many apologists for his brand of art on this website. If you happen to respect what he does and how he chooses to express himself artistically, that's your personal choice. I do not and there are at least several instances where either the courts have agreed with me or Prince has settled out of court for fear of setting legal precedent against his brand of art. If you think i don't realize about the nature of the commentators on this site and other photo blogs to a single mindedness about photography and art, i assure you i am well aware of the narrow views of a narrow demographic. To say that an artist, out anyone for that matter, is unsuccessful or irrelevant because of a mix of losses and successes only reinforces my view that that narrowness is still popular. Prince has been practicing his brand of art for over 40 years and is more successful than you or i can dream of being. That you disagree with his methods and concept is irrelevant. So your 1-man crusade to "enlighten" us is somehow relevant? Are we not entitled to our own opinions? Who died and made you (or anyone else) the final arbiter of artistic validity? Prince is financially successful. Whether he is artistically successful is a matter than can be debated ad naseum. I suppose it would all depend on what he actually aims to achieve with his art (aside from financial success) and how successfully he has accomplished his artistic goals. This is something that I think only he would know as his thoughts are his own and as far as I'm aware, nobody is a mind reader. The losses and wins that you refer to is not in the realm of artistic validity, but losses and wins in the realm of legality. You're conflating the two issues when they are entirely separate. You can be practicing completely valid art and still be on the wrong side of the law. It has nothing to do with the "narrowness" of society. It could be my artistic expression to dig up corpses and taxidermy them. The fact that it happens to be an artistic pursuit doesn't make it legal nor should it. How do you define artistic success? I define it by your ability to achieve the artistic goals that you have set for yourself. "it would all depend on what he actually aims to achieve with his art (aside from financial success) and how successfully he has accomplished his artistic goals." There are a ton of interviews and writings by and with him. You should look them up to make a more informed argument about this. I think it's safe to say he has goals beyond financial success. Being given an entire wing at LACMA to display your creative work is telling, no? What a person says or writes and what he actually thinks or believes are different things. In the end only Richard Prince could answer the question and only he would know if he's being honest. Being given a wing to display your work is only telling of a demand to see the work. Maroon 5 was recently given the headline at one of the world's premier stages to perform. Is that somehow telling of their musicianship? So, success is personally defined and therefore unknowable and subjective to anyone but the artist, art is likewise subjective, and the legality of the appropriation is up to the courts to decide. Having a lot of demand for your work is no indication of success (unless, of course, that's what you define it as for yourself.) In other words, you recognize no objective or even culturally accepted standard of quality or success. Have I got that right? In short, yes. Every individual is entitled to their own interpretation and opinion, but legal issues are for courts to decide and the ultimate success of an artistic pursuit can only be truly known by the artist—assuming that it was a purposeful artistic pursuit in the first place. The notion of objective standards when it comes to measuring artistic quality is simply absurd (who would determine this?) and if you want to talk about "culturally accepted" standards, which culture are you talking about? From culture to culture, people have different aesthetic tastes and values—even within the same country or state. Having a lot of demand for your work could be an indication of popular success and perhaps financial success, but even then, what would you consider "a lot of demand"? It's all relative. Either way to equate success in the marketplace with artistic success would be a mistake. "purposeful artistic pursuit" - how is this determined if "objective standards [of] measuring artistic quality is simply absurd"? Who determines what is purposeful and what is not? If "Every individual is entitled to their own interpretation and opinion" then one cannot argue that appropriation art is not purposeful, as one would merely need to counter that it is their opinion that it is. It is my opinion that appropriation art holds a valid role in the history and future of Art. I would assume that you believe it does not even rise to the level of art and is instead theft. Many agree with both statements. So perhaps it is both art and theft. "Purposeful artistic pursuit" as in going into it with an intention of creating art prior to the creation of the piece rather than deciding after the fact that you want to call something art just because something happened to turn out pretty. As for my personal opinion of appropriation art, I certainly think it's art. I just personally think it's the artistic equivalent of a parasite and that the practitioners of it are leeches that make their money off the back of other people. Just because I feel it is theft doesn't mean that I don't feel it's art. Butchering human beings can be an artistic pursuit—just not a legal one in most countries. For the record, I hold a similar disdain for abstract expressionism (AKA: random paint splatters) and people who sell blank white canvases as art. In the end, that's all it is, though—just one man's person opinion. Ok, so we've determined that the subject of the original article (Thomas' appropriation of the photograph) qualifies as art. Correct? Whether it's bad or good art is subjective, and nearly useless to debate. The fair use consideration is not for us to decide, but for the courts. (These are my conclusions of the current state of the conversation based on your replies.) So "art" is assumed, "theft" is TBD. You said "What "the art world" does and doesn't reward has nothing to do with whether or not this is theft of intellectual property. Nor does the decision of "the art world" to reward the theft of intellectual property validate the practice as ethical, honest, original, or legal." Do you think that, should this go to court, the deliberation will include talk about what constitutes original, honest, ethical, and legal art? Should they decide for the defendant, would you consider the system broken or would you just consider it bad art? And, who or what do you believe validates art as original, honest, ethical, or legal? Are these objective qualities of Art? I think that should this go to a court of law (depending on the country), they would take into account the technical nature of the changes made, the claimed motivation behind them, and determine whether the final product constitutes a transformed work that relates a different message than the original as well as whether these factors have enough merit to cross that legal threshold of fair use. The original, honest, and ethical part is simply my own views and commentary. They are not objective because any one of those qualities can be interpreted in different ways and quantified on different scales. To me, originality would constitute finding your own subject, composition, colors, etc. and creating the work yourself. In this case, take your own photo. Honesty in this case would be admitting from the start (before challenged) that this work is actually the work of another person that you have taken the liberty to re-color or re-interpret rather than giving no attribution at all and trying to pass it off as completely your own. Ethical in this case would either be not seeking to profit from this work and just sharing it as art, sharing profits with the original content creator, or simply securing permission prior to doing this (which would probably involve some degree of compensation). Whatever you feel Thomas' role is in creation of the final exhibited piece, it cannot be denied that the original photographer had a significant hand in it so it's not right (in my mind) to claim the final piece solely as your own work when it's not. I think that the system as it stands is broken regardless of how any such case would turn out. Our intellectual property laws (at least here in the USA) are largely written and enforced by people with little education or appreciation for the value of intellectual property in the arts and, as with most laws, they lag far behind the technology that is constantly pushing the boundaries to challenge them. As for whether this is "bad" art, I won't go so far as to say that definitively since there's no such thing as objectively bad art in my mind. I will say that I see it as "bad" art in the sense that I simply don't like the art due to how it was made as well as what I perceive to by sheer laziness on the part of the artist in this instance. I think if he wanted to create a transformative work, he needed to have gone much further than he actually did. Appropriation art might very well have its own place in art history, but that doesn't mean that everyone needs to appreciate or respect it. Since you're no fan of conceptual art, i won't waste my time arguing it with you. So pretty much everything you're saying is that since some people don't like, agree, or understand the appropriation of the photograph (it's not determined to be theft, yet), we shouldn't show it? Validate it? Should all appropriated works be subject to legal inspection before they may show them? Or is it you just have a strong opinion and everyone else be damned (as your profile would indicate)? Personally, i thought the original photograph was a fine reportage image; i think the appropriation takes that image and distills the message into something very artistic, focused, and personal. I have noticed that fstoppers removed the original description of the appropriating artist - it first said "African-american" which, while suspiciously specific, adds another layer to the transformation.